In a previous post, we shared the news that MomLess Mom is a proud member of LeapFrog Mom Squad! LeapPad Platinum was one of the first toys we tested as part of the LeapFrog family and you know if you read the review, my kids loved it! 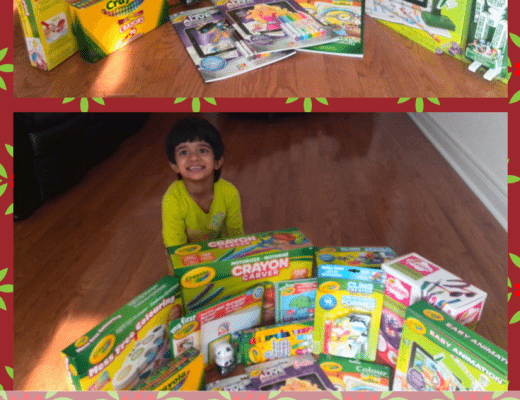 As they say, Learning is always fun with LeapFrog learning toys. LeapPad is my son’s absolute favorite and it pretty much follows him wherever he goes- Inseparables is the word, yes! My daughter on the other hand is having great time with Word Whammer, a fun toy that has 3 action packed games and 5 learning levels. 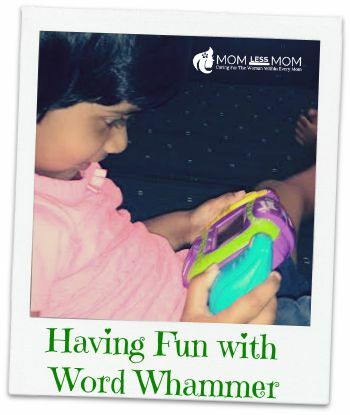 She is almost 4, so Word Whammer is perfect for her to explore the love for letters! The learning levels adapt as children advance through stages and it is lots of fun to see her figuring out the alphabets herself! The Word Whammer toy get kids jamming on phonic skills as they spin, push and twist the handles to identify letters and build words. Cool, isn’t it? She especially likes the animation and sounds of the toy and it inspires her to keep playing the game even when the levels get difficult. I love that the Word Whammer instills love for literacy in my daughter at such an early age thereby making her transition to kindergarten much easier! Here is how it works- You thrust the handle to blast a rocket into letters to spell more than 100 words. Match upper and lower case letters by spinning the handle to bump a car into the correct answer. Listen for a letter sound, then twist the handle fast to spin the teacup into the letter that makes that sound. One of the great things about Word Whammer is that as the child advance in the game, it adapts by presenting new challenges and skill tests to keep them challenged and motivated. 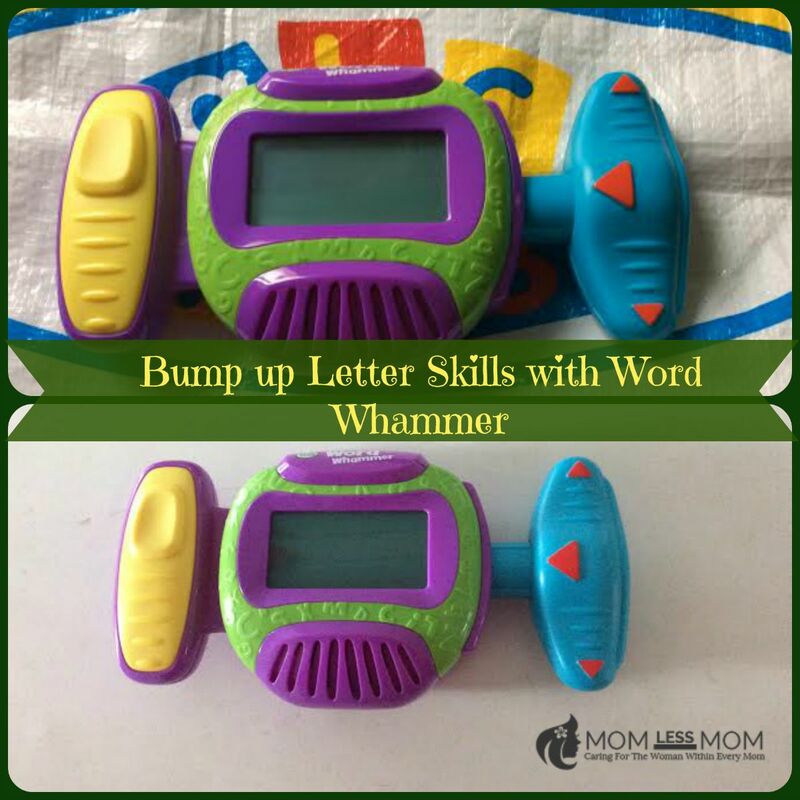 My daughter starts school next year.The new LeapFrog Word Whammer is helping her get ready for Kindergarten in a fun and active way. Interested to know more about other LeapFrog learning toys? Check out our reviews on LeapPad Platinum, LeapTV and Leapband. We are sure you may find them interesting.